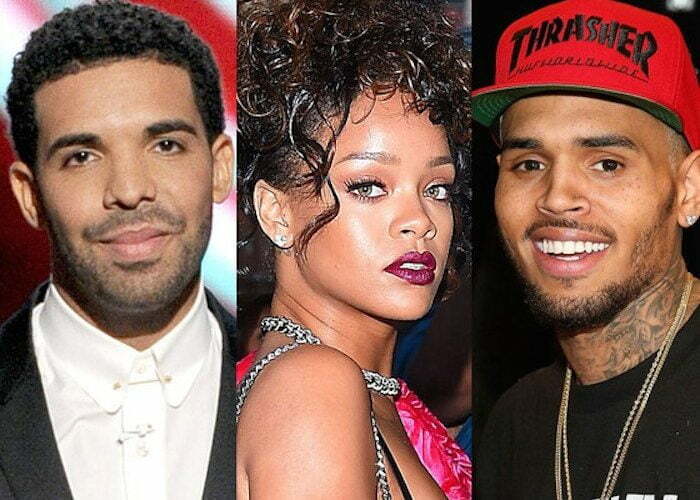 Chris Brown is not only dissing his ex-girlfriend Rihanna but also her ex-boyfriend Drake and his frenemy. For a moment we all thought that Chris Brown and Drake buried their beef but seems it is far from over. You can remember that photo of the two of them in a studio allegedly working on new music together, but perhaps that was just a photo op or publicity. While discussing his relationships with Karrueche Tran and Rihanna, Breezy questioned who else they would go to if after a breakup. Chris Brown also said he has respect for Rihanna in whatever she is doing now. The “Autumn Leaves” singer also added that he didn’t sent Rihanna any birthday wishes but they are still cool with each other. “I respect her space and she respect mine,” he said. Chris Brown also took shots at Drake during an interview on Hot 97 last week with Tyga. Is Drake ducking the fade from Chris Brown?